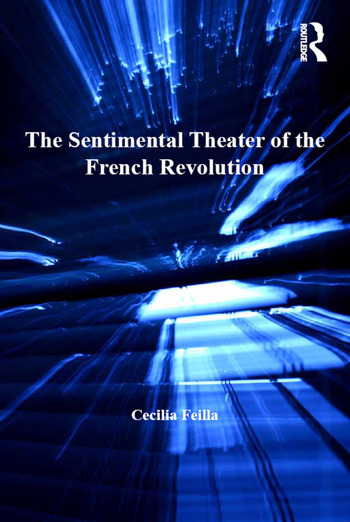 Smoothly blending performance theory, literary analysis, and historical insights, Cecilia Feilla explores the mutually dependent discourses of feeling and politics and their impact on the theatre and theatre audiences during the French Revolution. Remarkably, the most frequently performed and popular plays from 1789 to 1799 were not the political action pieces that have been the subject of much literary and historical criticism, but rather sentimental dramas and comedies, many of which originated on the stages of the Old Regime. Feilla suggests that theatre provided an important bridge from affective communities of sentimentality to active political communities of the nation, arguing that the performance of virtue on stage served to foster the passage from private emotion to public virtue and allowed groups such as women, children, and the poor who were excluded from direct political participation to imagine a new and inclusive social and political structure. Providing close readings of texts by, among others, Denis Diderot, Collot d'Herbois, and Voltaire, Feilla maps the ways in which continuities and innovations in the theatre from 1760 to 1800 set the stage for the nineteenth century. Her book revitalizes and enriches our understanding of the significance of sentimental drama, showing that it was central to the way that drama both shaped and was shaped by political culture. Cecilia Feilla is Associate Professor of English and World Literature at Marymount Manhattan College, USA.